Most of us think of bus shelters as a place where the homeless sleep in night after night, and they aren’t exactly the cleanest public place to beat in the first place. 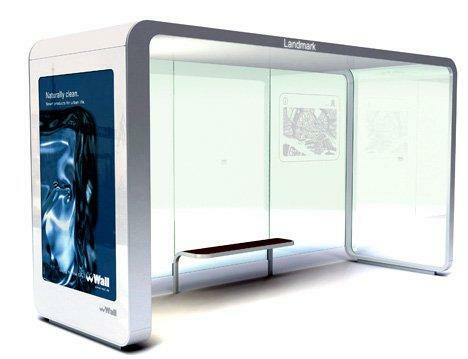 The Landmark bus shelter is part of the range of a real design concept for the city of Hamburg, featuring an advertising showcase that allows advertisers to store double-sided posters that brings in more revenue for the city council, along with a lighting system that lights up in a variety of colors at the right side. This makes the Landmark bus shelter design concept a pleasant place to wait for your transport, especially when dusk falls. I just hope that vandalism doesn’t rear it’s ugly head anytime soon.